You have to love those tenacious Keflings, like some sort of mutating super virus they are spreading from XBLA over to Windows 8 and Wii U. The original Live version of A World of Keflings was a great 4 player online/2 player offline co-op title, so it is good to see the potential audience widen. 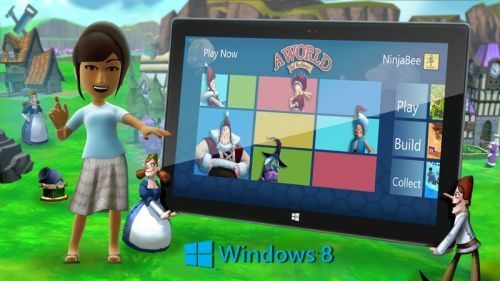 Windows 8 gave us the chance to make the game mobile and add in very smooth, natural touch controls. The Wii U has allowed us to significantly enhance the game’s visuals and, with the Wii U GamePad, explore new ways to interact with the game and its characters. Achievement fans will be glad to know that the Windows 8 version of the game will allow them to gain 20 new cheivos and still use their xbla avatar in the game. It would be sensible to assume that the Wii U version would allow you to play as your Mii, but this is yet to be confirmed. What is confirmed is that Keflings is available for $6.99 on PC. Page created in 0.2412 seconds.